Since Windows 10 released, the universal Skype app that comes preinstalled on all Windows 10 PCs has been horrible than ever. It looked incomplete, sluggish and was missing out on lots of functions. It did enhance a bit with time, but it never ever managed to lose that “incomplete” look that made the overall experience feel rough. Admitting the fact that Skype sure is making our lives easier, there are also times when you can’t connect to Skype, and you’re seeing the message saying “Sorry, we couldn’t connect to Skype”. Many Windows 10 users are reporting this problem so if you encounter this message, don’t panic because you’re not the only one and it’s possible to fix. Try the methods mentioned below to fix the issue. 1. Open Skype. Click Help, then Heartbeat. 2. You’ll see Skype’s system status from the newly opened web page. If something is wrong with Skype, you’ll see the message here. 3. If you do see message concerning connection problem, all you can do is to wait for Skype technicians to solve it on their end. Your firewall might be a fault if your Skype still says “Sorry, we couldn’t connect to Skype“ even after the technician’s help. Close your Skype app and make sure it is not running in the background (Task Manager will help you close the programs running in the background). Open your firewall and find the list of applications installed on your PC. Search for the Skype entry and allow Skype to connect to the Internet. If the app keeps experiencing connectivity issues, read the next method to fix the issue. 1. On your keyboard, press Windows key and X at the same time, then click Command Prompt (Admin). When prompted to give administrator permission, click Yes. 2. Type the following commands. Make sure that you have made no typo and then press the Enter key on your keyboard after each command. A really hard step to take where you might need to uninstall and reinstall your Skype in order to beat its connection problems. Windows logo key + R.
Type ‘%appdata%\skype’ into the Run box and click OK. Copy the My Skype Received Files folder and the ‘Your Skype Name’ folder. Move them to another location. Right-click on Skype and click Uninstall/Change and follow the prompts to uninstall Skype. Go to C:\Program Files, find the Skype folder and the SkypePM folder and Delete them. If you use a proxy server, configuring your Skype connection settings can reportedly make the ‘Skype can’t connect’ problem vanish. Skype > Tools > Options > Advanced > Connection. Specify the exact proxy option. Enter its Host and Port details. Enter your proxy Username and Password. Now restart Skype and check if it is OK.
1. Press the Windows + I keys simultaneously. 4. You may need to restart your PC for the changes to take effect. 5. See if your Skype is connecting now. 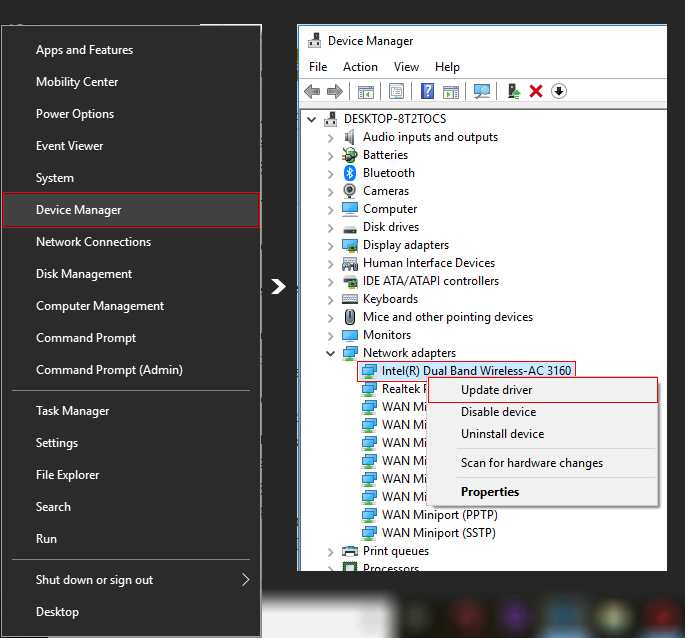 Outdated or dodgy network adapter drivers can cause Skype connection problems. In order to get the app back on track, you should resolve your driver issues. Network Adapters > Right-click on the adapter of the drivers you wish to update and click Update.